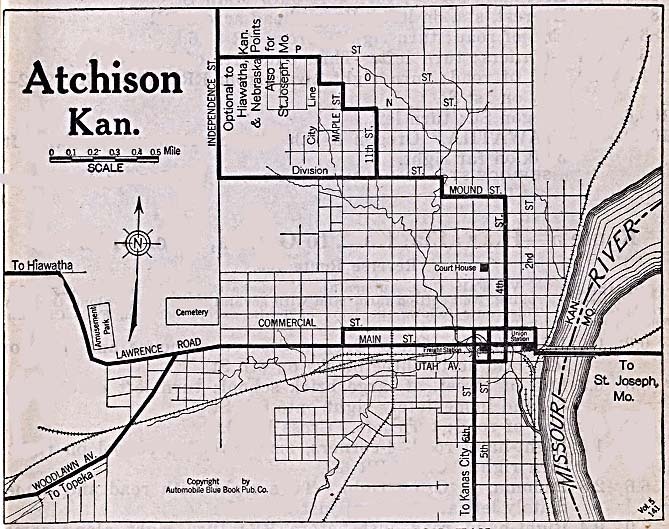 Atchison County is located in the U.S. state of Kansas. Its county seat is Atchison. The county was created on 1855 and originated from one of the original 36 counties. The name of the county comes from David Rice Atchison. The links directory provides suggestions for a variety of websites to assist in your family history and genealogy research. Biography of William S. Wallace, M.D. Name Index to Rural Rehabilitation Loan Case Files-includes Albert Hant, Jr. Biography of John Ralph Ballinger, M.D. Biography of John W. Abner, M.D. Biography of Leonard Elmore Henderson, M.D. Biography of B. M. Cawley, M.D. Biography of Peter Risdon Moore, M.D. Biography of Phillip S. Mitchell, M.D. Biography of C. A. Lilly, M.D. Biography of Charles C. Finney, M.D. Biography of Thomas E. Horner, M.D. Biography of D. W. Collins, M.D. Biography of Davis W. Collins, M.D.